Sao Paulo, Brazil – February 26, 2016 – A leader in the home automation market, Flex Automation innovates again at ISC Brazil with first line of Plug-In Z-Wave modules fully compatible with Brazilian’s new standard plugs. The company is launching initially 2 versions: a Dimmable and an ON/OFF Plug In version. The Dimmer version is designed for adjusting the brightness of dimming lamps (up to 300W) so as to create different moods in the ambience, reduce power consumption and increase bulbs lifetime. The Smart Energy ON/OFF version is intended to control other kind of loads, like non-dimmable bulbs and home-appliances (up to 3000W). And due to its “Smart” feature, it automatically detects and reports the power consumption in real time (Instant power in W and cumulated power in Wh). 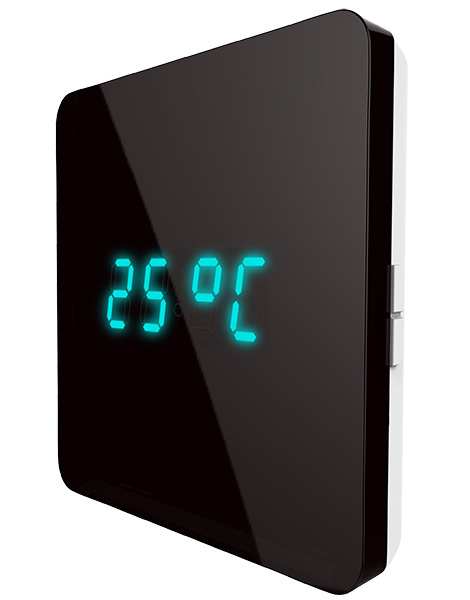 The Plug-In modules can be controlled locally by a back-lighted push-button in the panel as well as by alarm panels. It can also be controlled remotely by smartphones or tablets via Z-Wave wireless mesh protocol (Z-Wave Plus). Since the Plug-Ins don’t require any special Infra-structure, (just use any existing power outlet 110˜220V), it is the ideal Z-Wave product for retrofitting. Furthermore, it can be added and operated in any 921MHz Z-Wave network, acting as a native Z-Wave repeater. The devices are able to detect overload and indicate the critical status by the blinking LED on the panel and automatically shuts down the device until the normal operation is resumed. These products are ideal for integrating with alarm panels and are optimized for security and home automation projects. 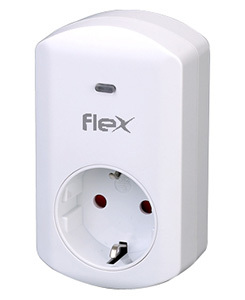 “FLEX” was created 13 years ago in Brazil not only as a brand but as MISSION: to offer easy to install products with intuitive, elegant interface, low cost and mainly FLEXIBLE solutions. Based on Z-Wave Technology, we develop, produce and sell Home Automation solutions. We provide local support and after service to System integrators, Architects, Developers and Builders which can also count on unique Installation tools and multi-platform home control applications designed by Flex. With subsidiaries in Asia, the company sells Brazilian technology worldwide. Z-Wave® technology and is an open internationally recognized ITU standard (G.9959). It is the leading wireless home control technology in the market today, with over 1350 certified interoperable products worldwide. The standard is a key enabler of smart home solutions for safety and security, energy, hospitality, office and light commercial applications.